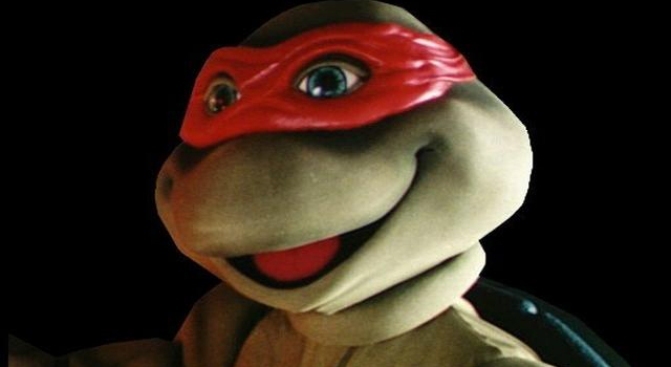 …for Largest Gathering of People Dressed as Ninja Turtles. What? That's totally a real category. Come out and make Guinness history -- as a ninja turtle. Earlier this week we told you that excitement around the Teenage Mutant Ninja Turtles' 25th Anniversary Shell-ebration** (not our word) was reaching fever pitch: Drive-in Tribeca Fest screening! Party Bus! Greening of the Empire State Building! But now we learn the very best part: at tonight's screening of the TMNJ movie,New York will attempt to break the world record for Largest Gathering of People Dressed as Ninja Turtles. We wondered from whom exactly we'd be snatching this coveted accolade, but at this writing, our 50-second Google search crack reportage team has yet to unearth this information. Guinness officials will be on the scene tonight at the World Financial Center Plaza starting at 6:30, when the pre-show to the free TMNT movie screening kicks off. Don't have a full-size Leonardo suit moldering at the back of your closet? No sweat -- Tribeca Film Festival lackeys will be passing out masks to all those in attendance. ** Yes, the Turtles are turning twenty-five. Yes, you really are that old. We got over it with the 25th Anniversary collector's edition of Purple Rain. You should get over it with the Turtles.